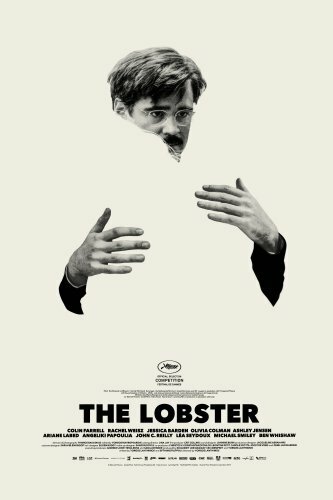 The name and the poster give it away: The Lobster is an eccentric film featuring an ensemble of weirdo characters. To that I will add it qualifies as science fiction and, more notably, fine art. The Lobster is a black comedy about a society where one has to follow rules and conform, even when one doesn't want to, in order to get anywhere in life. In order to make its statement, The Lobster takes this everyday rule into the extreme: in The Lobster's universe, if you do not have a partner and you fail to acquire one within a certain period of time, you're turned into an animal of your choice. Our hero, David (Colin Farrell), chooses to become a lobster (hence the movie's name). But he still has time to get a grip and conform in this rehabilitation institution he's at, an Orwell grade recovery centre that's meant to teach him how to be a social person. He can even extend his time there by hunting down fugitive non conformists! There can be no doubt about it, The Lobster is brilliant, and as long as one can manage with its mild eccentricities one should be able to enjoy its social commentary. Immensely so. Alas, it also deteriorates half way through, though, significantly deducting its effectiveness. Overall: Imperfect yet immensely clever, this movie gets 3.5 out of 5 lobsters. Sorry, crabs.